Sometimes you need to run multiple instances of MetaTrader platform on your computer at the same time. For example, you follow more than one trading system and you have a different template for each. It is a pain to switch between the different templates or profiles on the same platform any time you want to check the charts based on one of the trading systems. 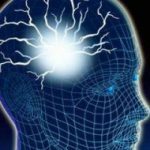 But you can simply install and run multiple instances of MetaTrader on your computer and have only one of the systems and its related template and profile on each. They can work on your computer at the same time and to check the charts based on each trading system you only need to click on each platform icon on your computer taskbar. Also, some traders have more than one monitor. They have to run a separate instance of MetaTrader for each monitor, because unlike some other trading platforms, with MetaTrader you cannot take the price charts out of the platform main window, and so you cannot have a chart from the same instance of MetaTrader on each monitor. If you want to use several monitors with MetaTrader, the only solution is running multiple instances of the platform. You can login to the same account through each of the MetaTrader platforms you run on your computer, so that you can take positions through any of them. Now the question is how we can install and run several instances of MetaTrader platform on the same machine? It is very easy. You have to install MetaTrader in different folders and run it from each folder separately. 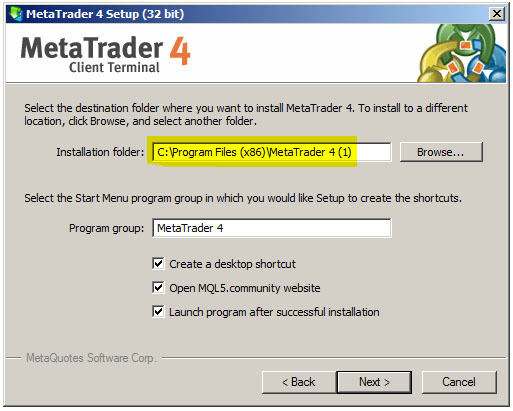 First, you have to download the MetaTrader installation file from your broker’s website. If you have not signed up for a live account with a broker yet, then you can simply choose a broker and download MetaTrader installation file from their website, and then sign up for a demo account after the installation. Also, you can simply refer to MetaQuotes Software Corp website and download the MetaTrader installation file for free. 1. Click on the “Next” button. 2. Agree with the terms and click on the “Next” button. 4. Click on the “Next” button and finish the installation. So you are done with the first installation. 6. Repeat this as many times as you want. If you want to run 3 instances of MetaTrader, then you have to repeat this 3 times. 8. After running each platform, you can either sign up for a demo account at File>Open an Account at top left, or login to the account you already have at File>Login to Trade Account. Very good tip. Very helpful. Thanks. Your instructions say install to C:\Program Files (x86) which is where my current installation is (using Windows 10). I was going to do the same for a new installation I want to do, although I have just read various posts (albeit referring to windows vista/7) saying that MT4 should not be installed in C:\Program Files but directly on the main C:\ directory. Can I please confirm the correct destination folder?